Victimized companies lost far more than money, according to Hiscox insurance report. Eighty-five percent of embezzlement cases were committed by someone at the managerial level or higher, according to a new survey of chief financial officers, controllers and accountants commissioned by Hiscox, a specialist insurance company based in New York. Nearly four out of 10 of the survey’s respondents said they experienced two or more cases of embezzlement during their careers, reported the Hiscox survey. Thirty-three percent of the theft perpetrators worked in the accounting or finance department, 31% percent of the theft cases went on for three years or longer and 70% of the embezzlements lasted for more than a year. Nearly 80% of the embezzlements included more than one person, and the average number of persons involved with internal fraud cases was three. 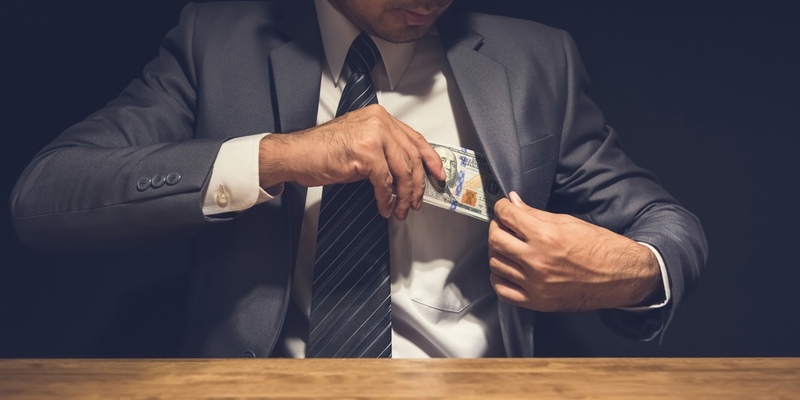 While most embezzlers do not start out at the company with any intention to steal, they typically start taking money because they fall into a financial crisis. At first, they may justify the theft as a loan and intend to pay it back, the survey reported.